The Henry 280DC is an elastomeric white roof coating used to protect your roof or spray foam from deterioration caused by the sun's UV radiation. Use this coating in conjunction with a spray foam roofing kit. This elastomeric roof sealant also creates a highly reflective (88%) and seamless barrier to reduce heat gain through the roof and protect the surfaces below. 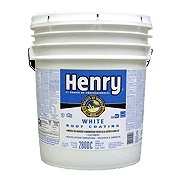 The Henry 280DC is a high quality roof sealing paint with the best all around performance. Elastomeric, white reflective roof sealing paint that reflects 88% of the suns heat. 1. Wear proper safety equipment: Coveralls, Respirator, Goggles, and Gloves. Consider purchasing our Safety Kit. 2. Prior to white elastomeric roof coating application, hand stir or use low speed mechanical mixing. 3. Use one of the approved methods to apply 2 coats of white reflective paint to the surface. 4. 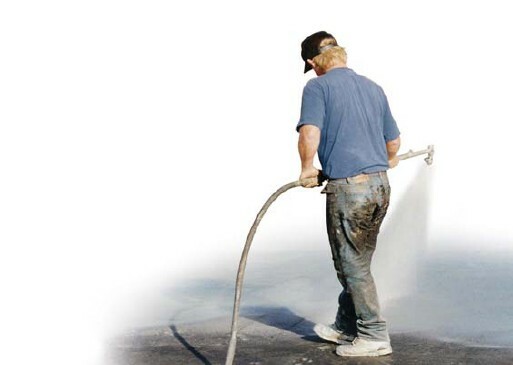 Clean up spray on roof sealer equipment with soapy water according to manufacturer's instructions. Please see manufacturer's written instructions for proper white roof paint application methods.